With that in mind, the two ideas I had were a storage bench and foldaway wall seating. 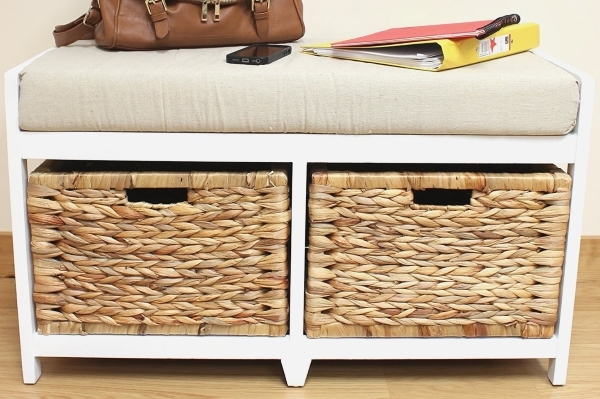 The storage bench idea would be a bench with room underneath for plastic bins for storage. The benches would be wide enough for two or three bins to fit in, but small enough to be moved around and stacked if needed to get out of the way. The foldaway seating would mount against the walls and sit flat out of the way unless needed. When it is needed, it folds down and can seat 2-3 weightlifters per bench. While these couldn’t move around, we would not have to find storage for them when not needed. The hinges I looked at support 880 lbs per pair and up to 24 inches deep top. What do you all think about these options?